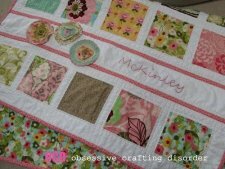 "I have had several e-mails of late asking for details about how I made the Mckinley quilt originally blogged here. 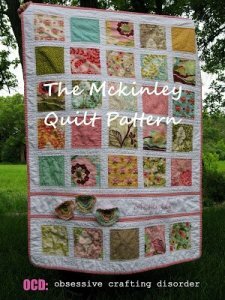 I thought I would share my pattern for those who would like to give it a try. It is a very simple pattern, suitable for beginners, but has a big impact. I did not take pictures as I went along, so this is an entirely verbal tutorial. But it it pretty simple so I am sure you highly intelligent beings can figure it out with no trouble!